There are "Awesome Summer Camps" throughout the United states and Canada. SummerCamps.camp will help you locate one. There are links above for hundreds of camps. Below is the featured "Awesome Camp" from February 29, 2016. 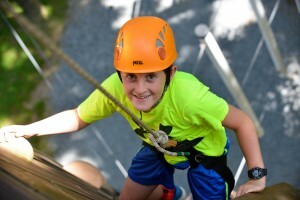 On 1,000 family-owned acres of mountain woodland, nestled high in the beautiful Blue Ridge Mountains of Western North Carolina, Camp High Rocks for boys is truly a special place. 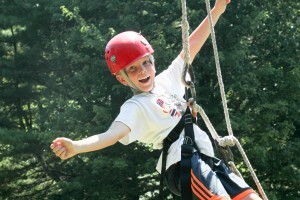 Since 1958, Camp High Rocks has been a place for fun and learning, challenge and adventure. It’s a place where the environment is geared to a camper’s specific needs and interests—where a caring, well-trained and experienced staff seek to teach and inspire lasting values. But most—and probably best—of all, High Rocks is a place where campers can be themselves. Free from the often inhibiting competitive pressures of their schools and social lives back home, here they find ongoing opportunities for success at a variety of activities. Daily instruction rapidly increases a camper’s skills, and it’s through this framework that campers gain self-esteem and develop an enduring sense of community. The emphasis in each activity is on safety awareness, skills development, and fun. Says one camp parent, “The number one reason Grayson loved camp so much was because of his counselor, Tyler. He helped [Grayson] every time he was homesick by throwing a football and chatting with him. Grayson’s highest compliment was when he said, ‘If I had an older brother, I wish he was Tyler!’” Because every counselor is also an accomplished outdoorsperson in addition to being a mentor to campers, they positively affect campers in a myriad of ways. The hallmark of High Rocks’s program is the camper’s ability to select five activities which he will attend regularly, unless a trip or extended activity occurs, such as a three-day hike, a canoe trip, or a morning spent rock climbing. 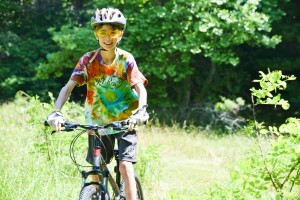 There’s something sure to appeal to every kid, including rock climbing, horseback riding, mountain biking, hiking, canoeing, kayaking, archery, riflery, ropes course, sailing, soccer, tennis, crafts, pottery, fishing, swimming, and more. 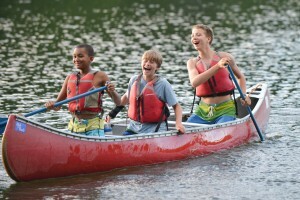 The emphasis in each activity is on safety awareness, skills development, and fun. Competition is de-emphasized, because at High Rocks, success stems from individual effort, not being better than someone else. High Rocks believes that the sense of accomplishment instilled in campers, whether fostered by improvement in activities or from being away from home for the first time, is something that can be life-changing. Activities: rock climbing, horseback riding, mountain biking, hiking, canoeing, kayaking, archery, riflery, ropes course, sailing, soccer, tennis, crafts, pottery, fishing, swimming, and more.